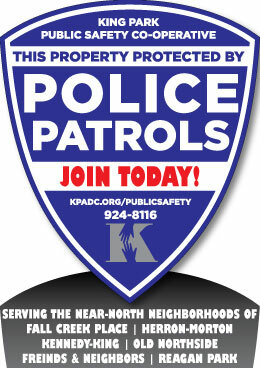 For neighborhoods like ours that do not have a property manager or HOA, individual neighbors or business owners can join the Public Safety Patrol Progam for supplemental neighborhood police patrols. 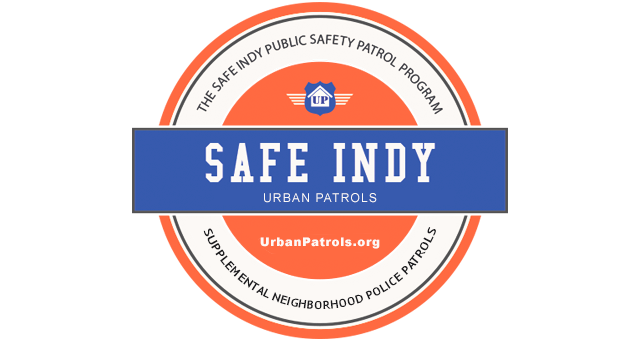 With this program, members pay a low monthly contribution of $25/month that is pooled to hire off-duty police officers to patrol their homes and neighborhoods at random hours, including daytime and late night burglary hours. Patrol officers address the concerns of the neighborhood and provide a visible police presence in your area. The neighborhood security budget may also be supplemented by local businesses who wish to advertise by sponsoring a few hours of patrols or ongoing monthly sponsorship for $50/month. Membership fees and/or sponsorship funds are collected through a management company, Urban Patrols, LLC, and are then applied to purchase as many patrol hours as membership levels and sponsorship funds allow each month. Patrol shifts are scheduled in a minimum of two hour blocks due to travel time for the officers. Members use our online reporting form to send information to their neighborhood patrol officers about suspicious activity or concerns. It is important to note that this program is a supplement, not a replacement, for the police department, and does not in any way affect your normal neighborhood police patrol activities. Always call 911 for an active incident! If our officers are working in the neighborhood at the time of the 911 call they will hear the call on their police radio and be there quickly to assist. All of our officers will have their radios on at all times during their patrols to listen for any 911 calls or house alarm calls in your area. The first priority during each shift is to make sure members' properties are secure. The police officers' route consists of the member properties during each shift. All members' properties are checked during each patrol shift unless an unforeseen incident takes the officers' time during that shift. Patrol reports for all shifts worked are provided to members. In addition to having your property specifically checked during each patrol shift, your neighborhood as a whole will have greater police presence and therefore deter criminals from targeting your neighborhood. As your neighborhood increases membership, police patrol hours in your neighborhood also increase. Additionally, more members on a certain block will mean that block receives more time and attention from the officers during every shift as the officers check each member's property. Aluminum "Police Patrolled" yard signs are available to members to indicate their property is regularly checked by the police and to help the police officers identify their residence as a member of the program. Our "Police Patrolled" signs give criminals one more reason to bypass your property when they are looking for an easy target. All officers are carefully chosen to be dedicated to improving public safety. They will actively address issues as they arise. Our officers provide a direct line of information to your district officers as well. Whenever possible, we match your neighborhood with officers who already work or live in your area. Our officers are full-time, off-duty police officers with permission from the police department to work in your neighborhood. They have full police powers and can make arrests, stop speeders, serve warrants and file police reports just as they would during their regular police work. Only officers trained and certified by the Indiana Law Enforcement Academy are selected to work with our neighborhoods. This intensive training includes emergency response operations, criminal investigation training, physical training, firearms training, vehicle crash investigations, physical tactics, conflict de-escalation, domestic violence response training and much more. Our primary patrol officer is a certified law enforcement training officer with many years at IMPD and almost a decade working with our program. All of our officers are focused on problem solving, maintaining peace and civility in their areas of operation and causing crime reduction. They pro-actively patrol the properties whose protection they are entrusted with and are trained to craft solutions to potential safety threats. The Public Safety Patrol Program only employs those officers who are effective, professional and diplomatic in meeting the needs of our member neighborhoods. While the supplemental patrol officers cannot prevent all crime, our neighborhoods have had great success in reducing crime by providing a greater police presence and preventing criminal activity in member neighborhoods. Our officers have also had many arrests since we started providing the program in 2010.